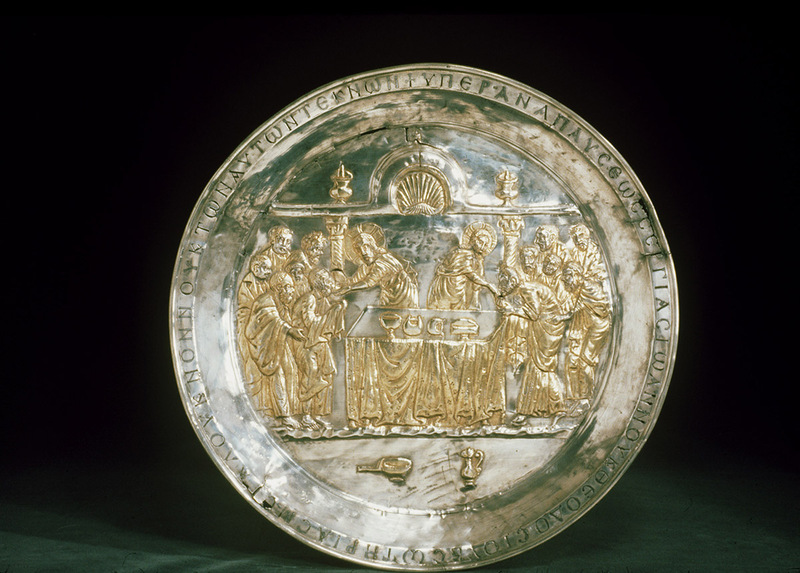 Did you by any chance see the photographs which Kalebdjian had in Paris of the collection of soi-disant“So-called.” Antioch silver, now in the possession of an individual at Cairo?Tawfic Abucasem. He showed them to Elisina and on her suggestion telephoned me about them the eve of our departure and at my request sent me the photographs. If the various pieces are as fine as they are represented in the photographs, the collection is of great interest, particularly certain pieces resembling your chalice (si j’ose le dire).“Dare I say.” At my request Kalebdjian wrote to the owner of the collection with the result you will see in the copy enclosed of his letter to me of November 20.The whereabouts of this letter are unknown. I am replying to the effect that I am endeavouring to find someone who would be willing to go to Cairo to examine the collection, but stating that I find the price with his high commission exaggerated.See postscript to letter of November 22, 1926. For a similar sentiment from Elisina Tyler, see letter of November 26, 1926. When Kalebdjian’s letter reached me, Mildred and I both said that there was none we would rather have pass on the objects than you, but we would not have presumed to ask you, with all you have to do, whether it would interest you to go to Egypt to look at the objects. To-day, however, a letter arrives from Elisina in which she says that you or she or Hayford Pierce [sic] would be willing to go to see this collection. Such a bit of news seems too good to be true, and we hardly dare hope that it might be realised for fear our disappointment would be too great. But if you could go—“Oh, Boy”! Mildred and I would much prefer, on your recommendation, to purchase only certain objects out of the collection, and these I have numbered on the photographs, which are being sent you by the same mail under separate cover. However, if the owner is unwilling to sell a portion of his collection, we would be willing to purchase the whole, if you think advisable, with the idea of disposing of the pieces we do not wish to keep. Of course, it is always difficult and annoying to purchase under those circumstances, for it is not easy for anyone situated as we are to sell such things. However, we would prefer that embarrassment to loosing the opportunity of purchasing something so unusual and really good as these pieces seem to be. As to prices, that of course is a matter for further negotiation. I think that Kalebdjian’s suggestion of 20% commission for himself is wholly unreasonable and I suggest that this difficulty might be overcome if it came to a show-down. I have numbered the various objects on the backs of the photographs. In order of preference I might say, that No. 1 looks to be most interesting. No. 2 looks more interesting than No. 3 as far as one can tell from the photograph. No. 4 also looks interesting but the photograph gives a very poor idea of what the object may actually be. The figures on No. 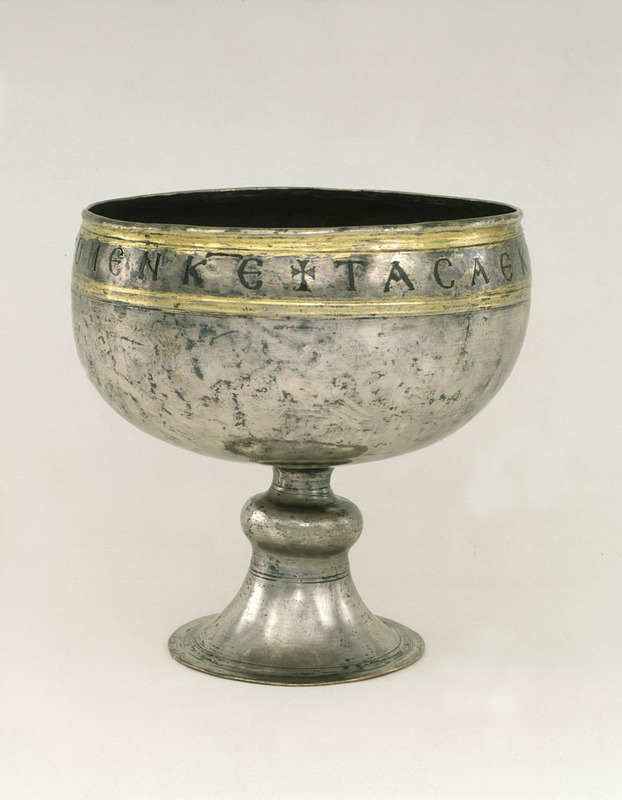 5 look more like the ones of the patène than any piece in the collection.Probably Chalice with Apostles Venerating the Cross, Walters Art Museum, Baltimore, acc. no. 57.636. No. 6 may be good or not according to whether there is an inscription on it. No. 7, the two candle-sticks,Pair of Lampstands, Walters Art Museum, Baltimore, acc. no. 57.634–635. appear to be very fine indeed. Nos. 8 and 9 also seem interesting. I have named these objects more or less in the order of preferences with the exception of the candle-sticks, which stand high on the list. Now what do you think? We are burning to know and a preliminary wire would be a relief in our present state of excitement. P. S.: Although Elisina said that either she or Pierce [sic] would go to Cairo I should not think of suggesting that she inconvenience herself for such a journey. But if you could not go, how do you think Pierce [sic] would do?